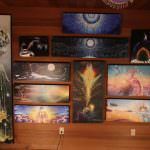 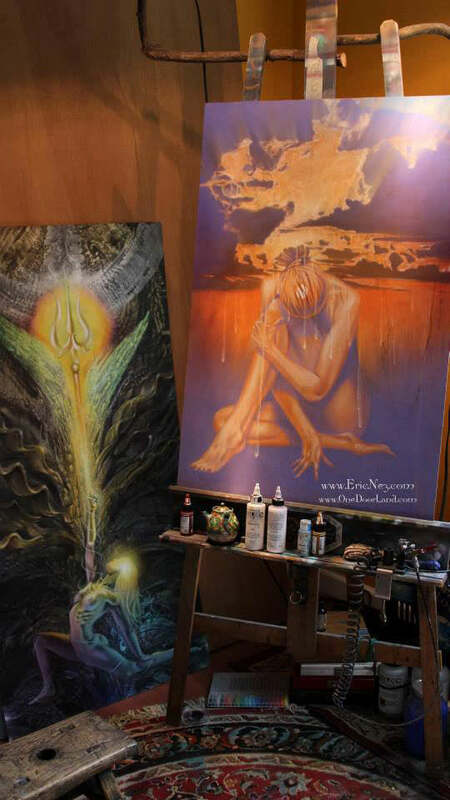 The art of Eric Nez is both a stepping-stone and a chronicle of his evolution of consciousness. 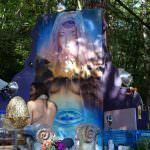 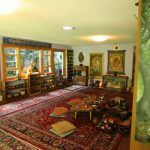 Explorations of distinctly different worlds, powerful life experiences, and teachings from ascended masters… all of these find a home in the work of Nez. 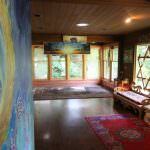 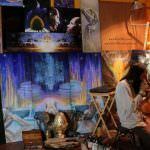 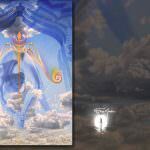 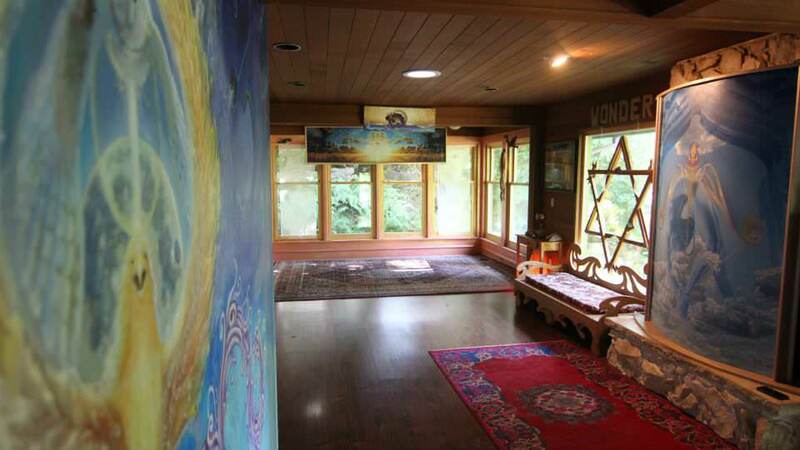 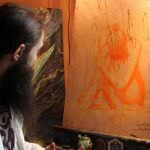 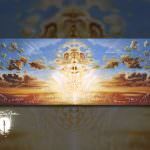 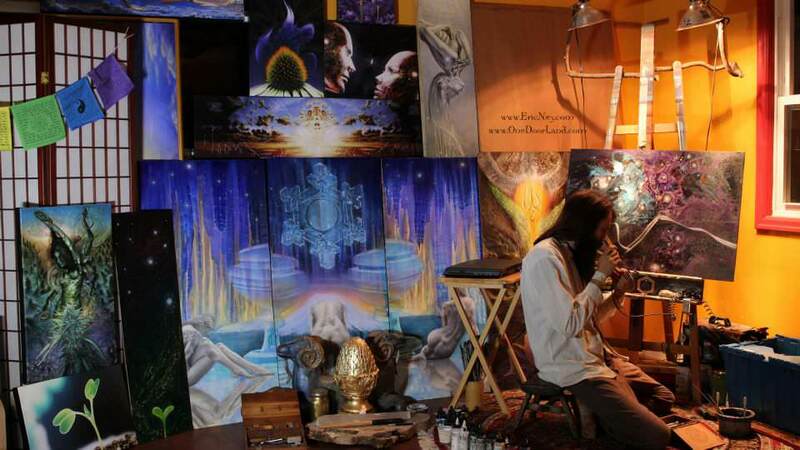 His every painting is offered up to the universal collective as a catalyst for transformation. 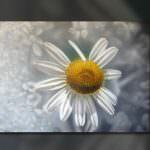 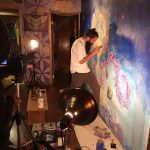 Deeply influenced by the blissful, sacred experiences of life, Eric defines his work as the visual fruit of his own personal growth. 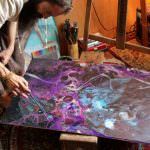 He considers himself a seeker- traversing many realms, translating and sharing the discoveries of his travels through the secret and ancient language of pictures. 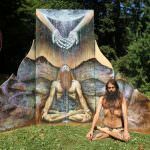 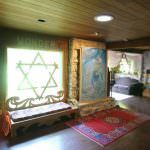 Elijah of OneDoorLand began his documentation of Eric Nez at Beloved 2013, archiving the unfolding of “The Immoral Yogi”. 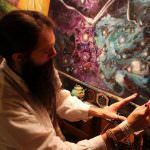 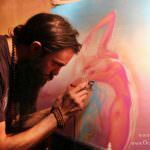 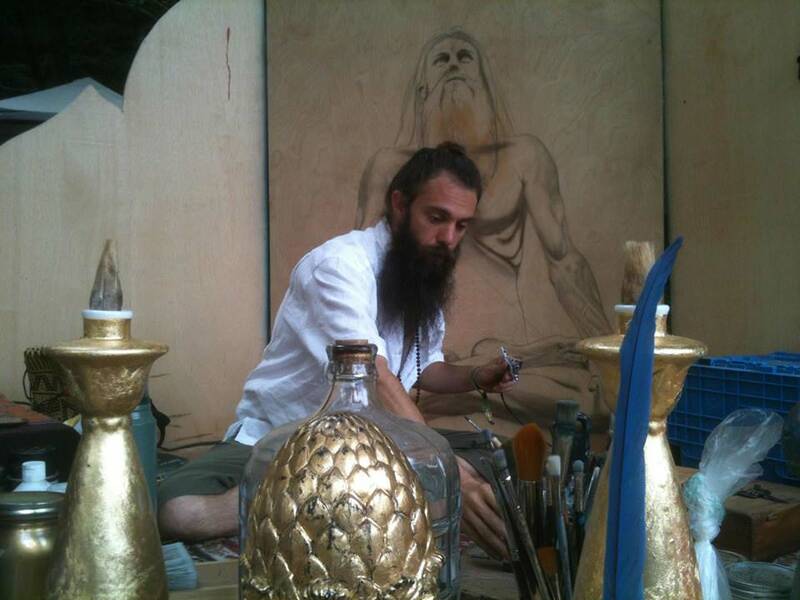 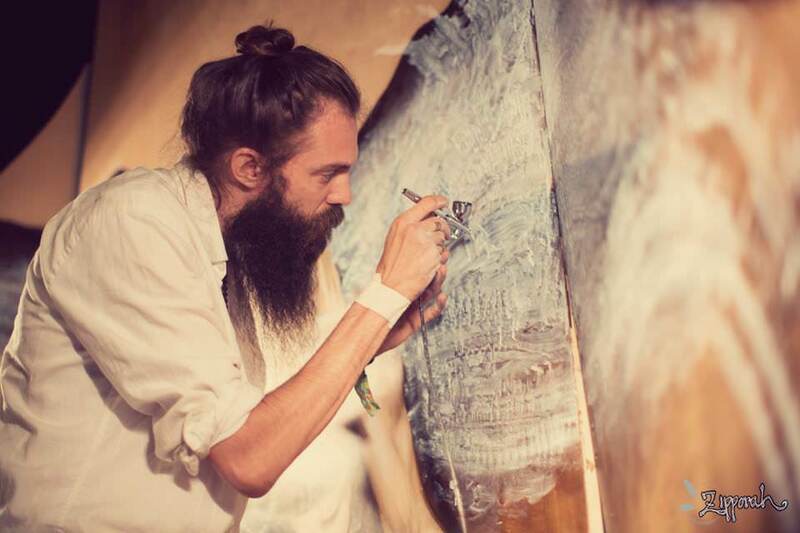 Eric Nez has been a powerful and potent presence at the Beloved festival for many years, creating grand multi-dimensional canvases documenting the alchemical journey through the eyes of the Transmission Artist and his airbrush. 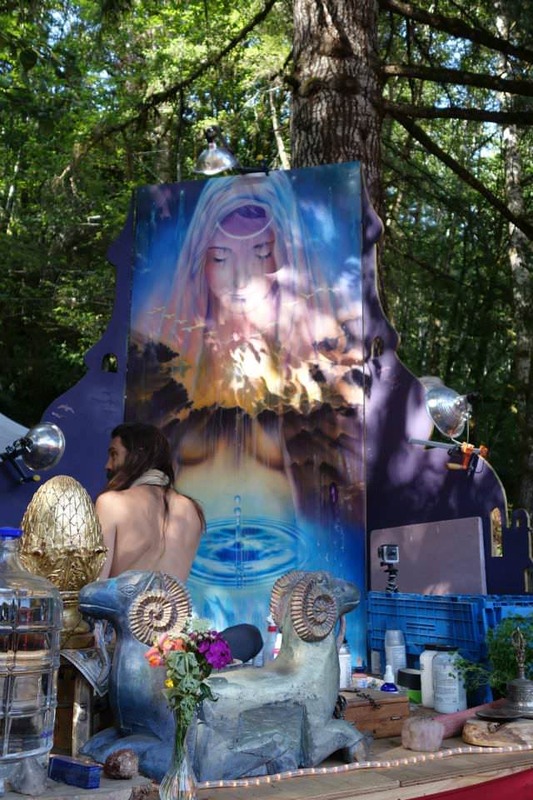 In Beloved 2014, OneDoorLand and Eric Nez returned to create “Every Drop is Sacred”. 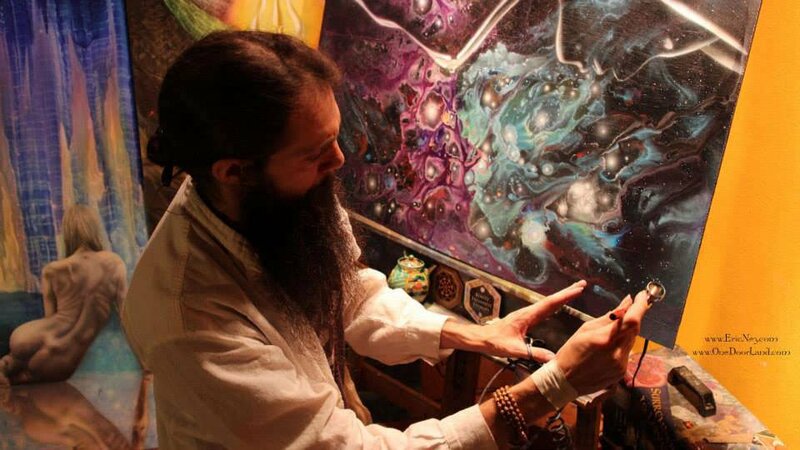 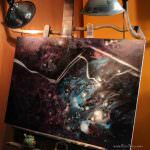 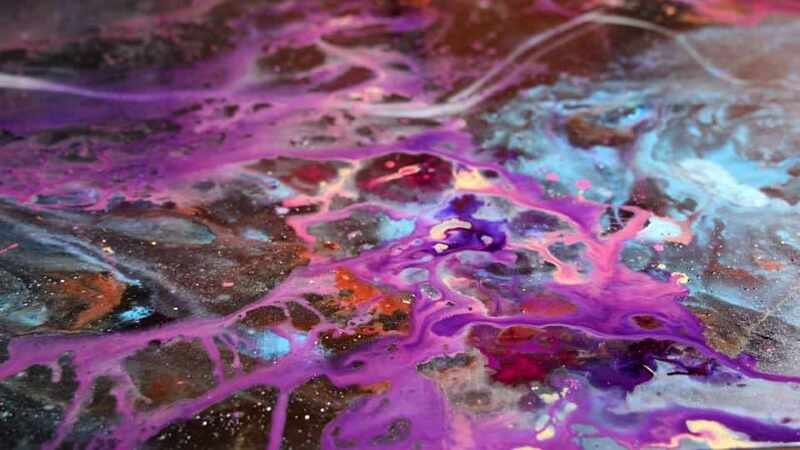 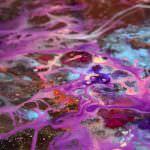 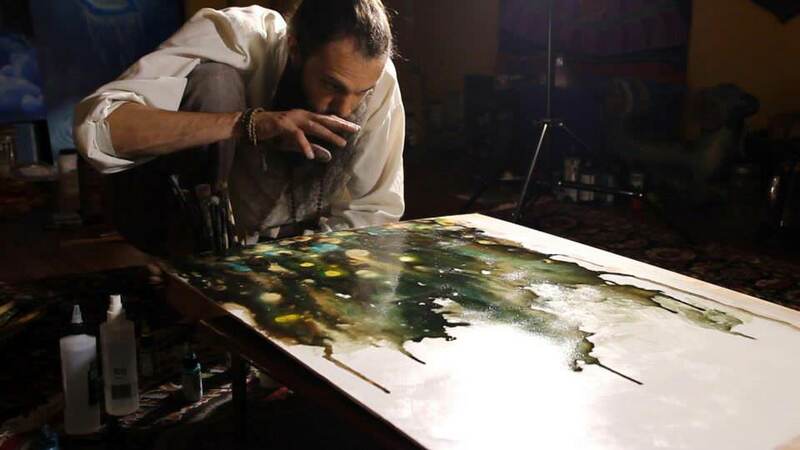 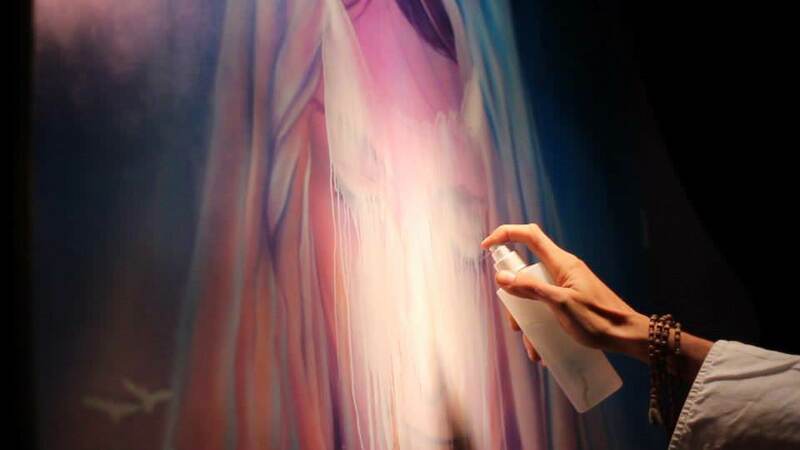 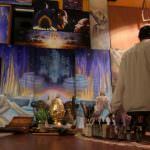 These live painting vigils are a 3 day ceremony for Nez, as he prays into the paint, serenaded by world music and entranced by electronic dance journeys. 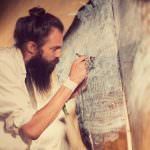 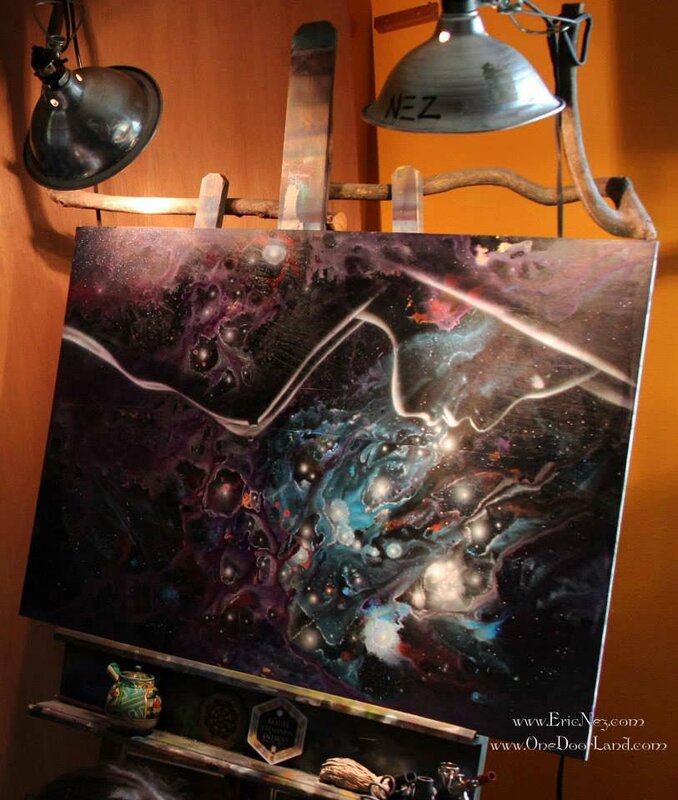 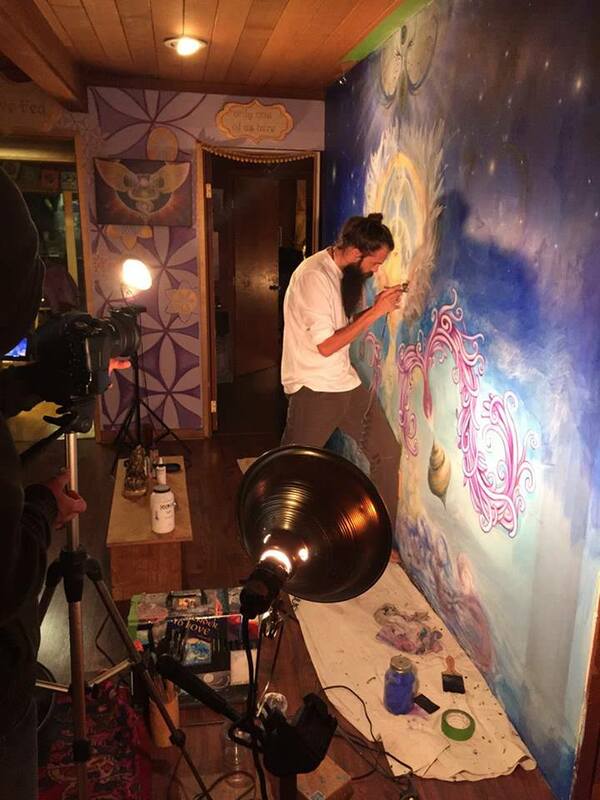 Eric Nez then began an artist in residency at OneDoorLand Synergenius Stewdios, sharing the communal art space with other musicians, magicians, and prayerful painting partner Binah Zing. 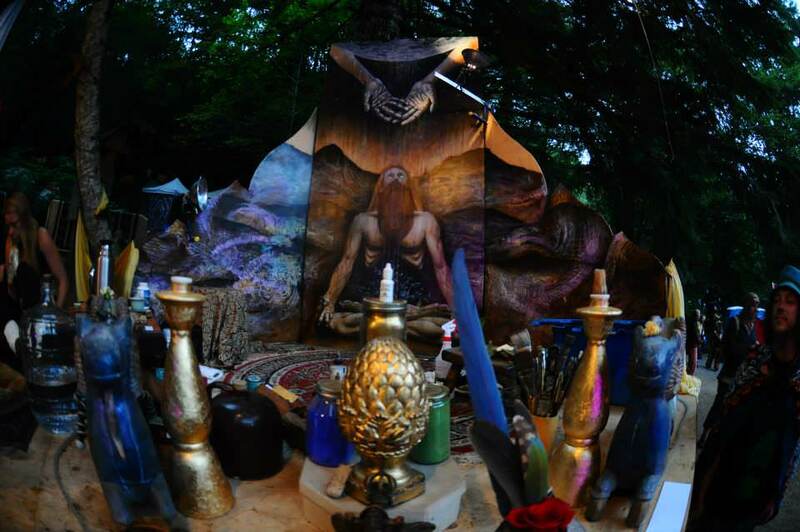 Together, these synergenius chefs continue to weave several night “Art Vigils” combining live music, improv song and storytelling, gene keys contemplation, and alchemical co-creation. 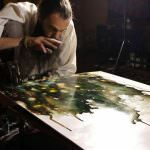 Eric Nez completed a whole series of new paintings, parallel to the soulful serenading of Water Eye. 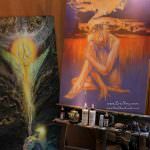 The two co-created the album “Dream Me Open” featuring original songs sung into the paintings, and an accompanying eBook with the corresponding artwork by Eric Nez. 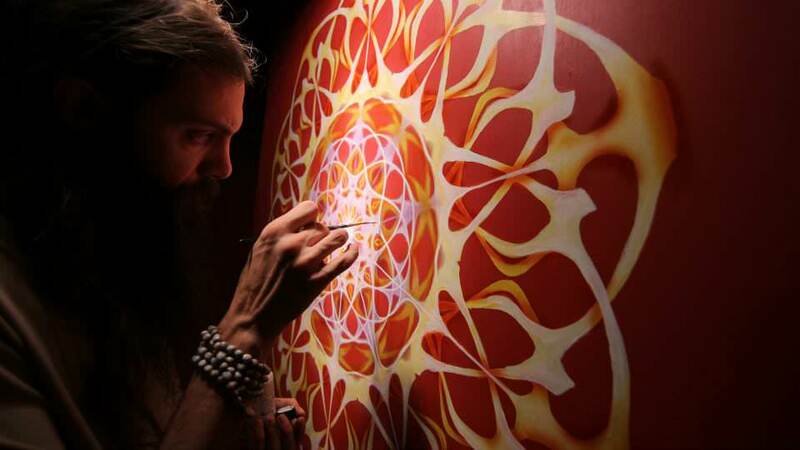 Transmission Art is a cultural Remembering of the true function of sacred art – to transmit the higher messages and teachings of the divine into forms of application and activation through embodied practice and self-cultivation. 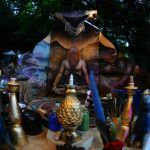 These transmissions come from many lineages, but are most recognized in statues and tonkas depicting specific mudras and carrying encoded vibrational frequencies of the mantras and divine beings they are designed to invoke. 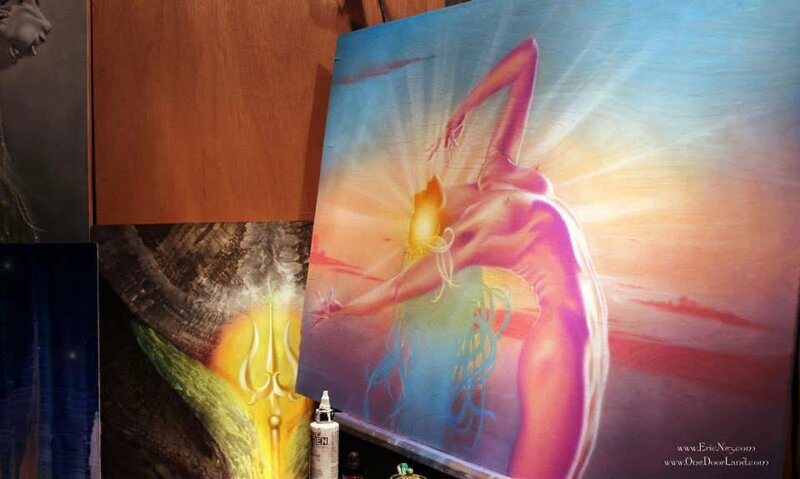 This art can only be created through an embodiment of these teachings, thus transmitting through every stroke on the canvas the prayer and message. 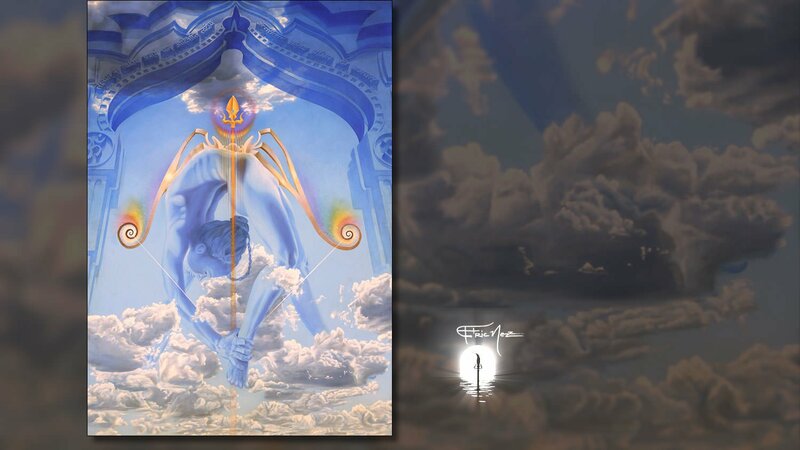 The highest reflection of this art is the ability to teach another through the art of divine representation. 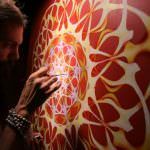 Eric Nez’s devotion to his yoga practice, sacred mantra, and plant spirit path are evident in the magic encoded in every piece of Transmission Art he creates. 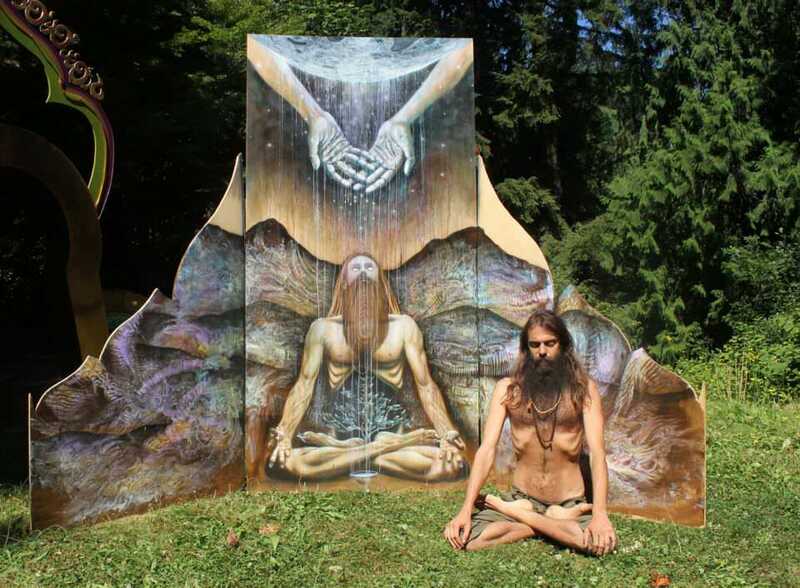 His awareness of the human body comes from deep self-cultivation and study in the Yoga as Union, of body and soul. 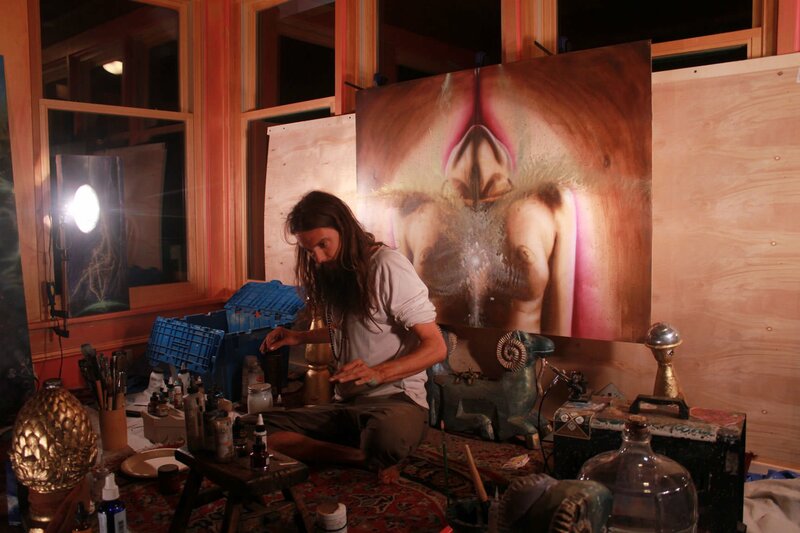 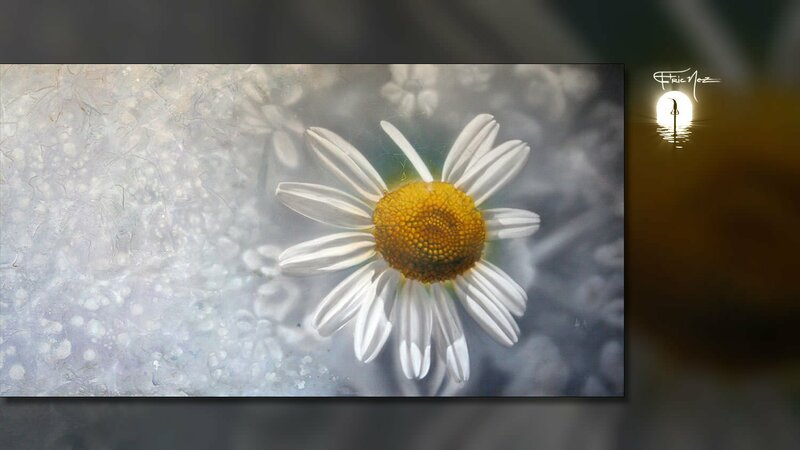 When painting the spirit energy of a plant, Eric diets with that plant for many months during his contemplation. 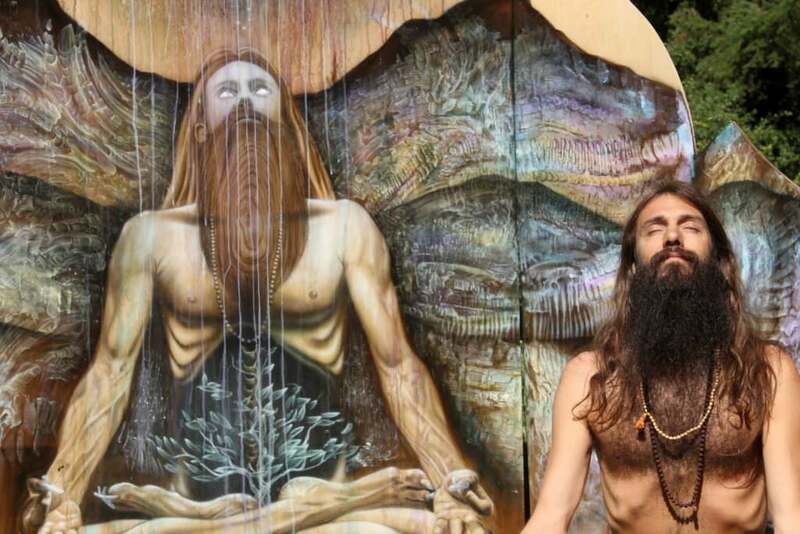 He watches the medicinal plant grow from seed to flower, uses it in his own body through tea and food, and meditates with the energy of the plant to discover its true essence – the song it is here to sing for humanity. 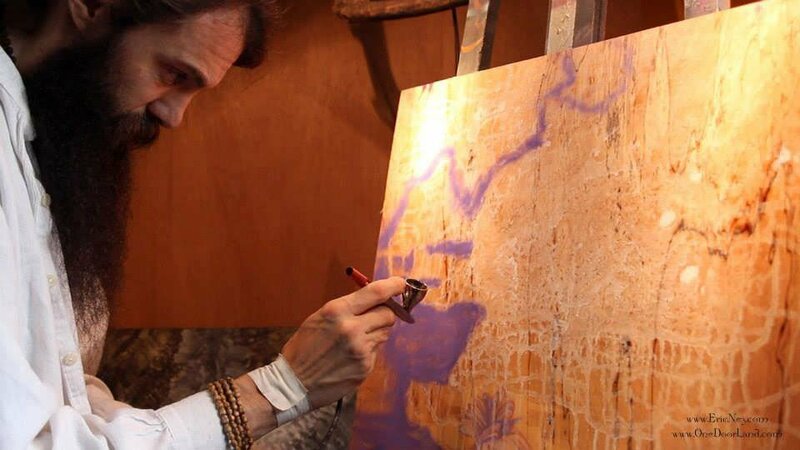 OneDoorLand is blessed to host this amazing artist, for his devoted practice and his profound portals. 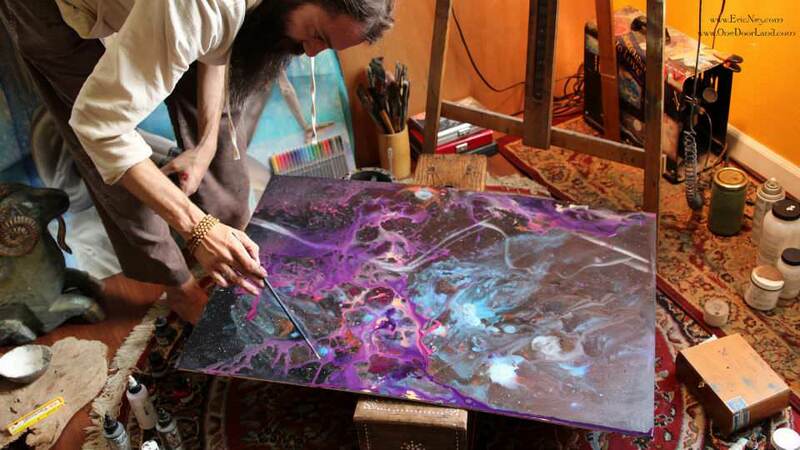 During his residency, Eric Nez created a Living Genetics Painting for Gene Key 1 – Entropy Freshness Beauty. 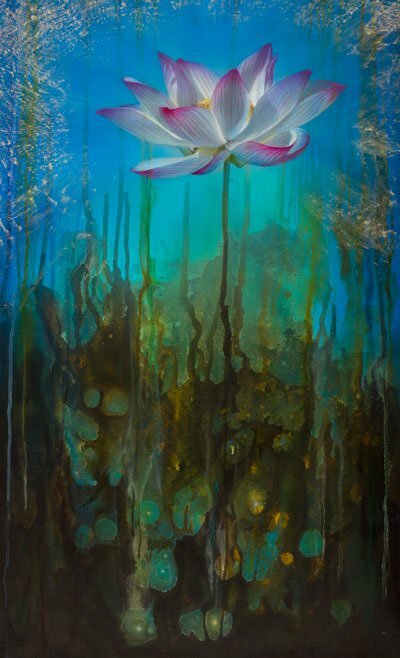 Inspired by the deep muck of the OneDoorLand pond, the flowering lotuses of fresh genius blossoming in the sun, and the golden radiance of beauty through deep compassion and connection. 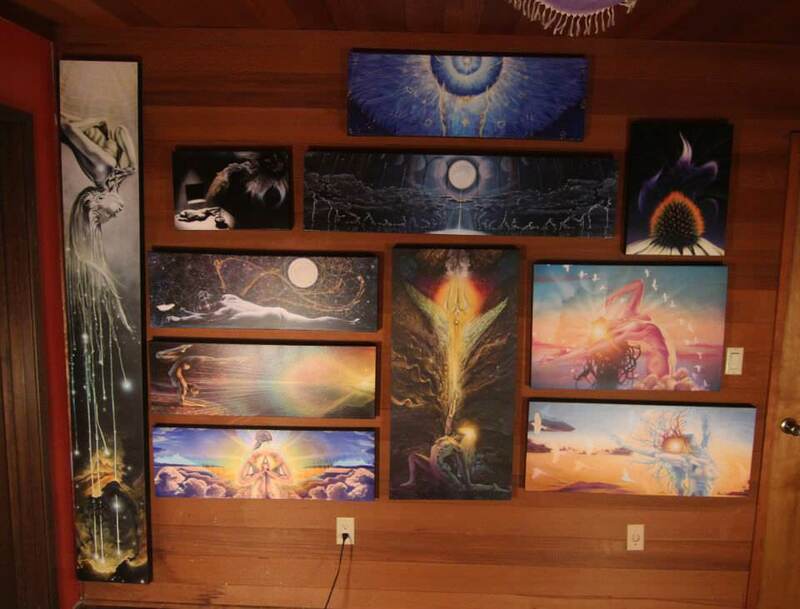 OneDoorLand is currently the gallery for several other Eric Nez original paintings, depicting different styles of Transmission Art. 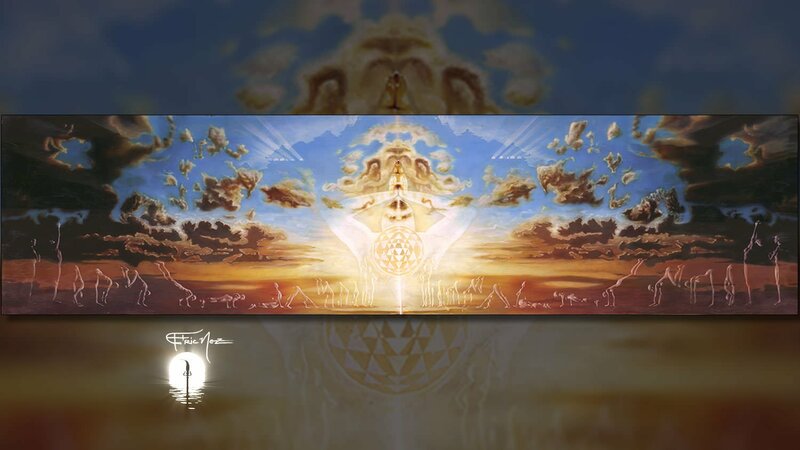 Surya Namaskara, the portal of Sun Salutations yoga, was crafted after countless hours of practice. 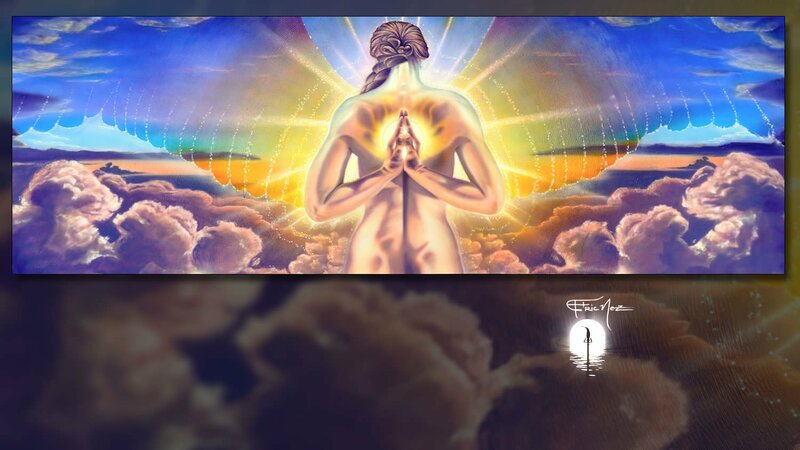 Before his brush touched the canvas, Eric lovingly devoted 108 sun salutations so his sweat and body would truly vibrate in connection with the practice. 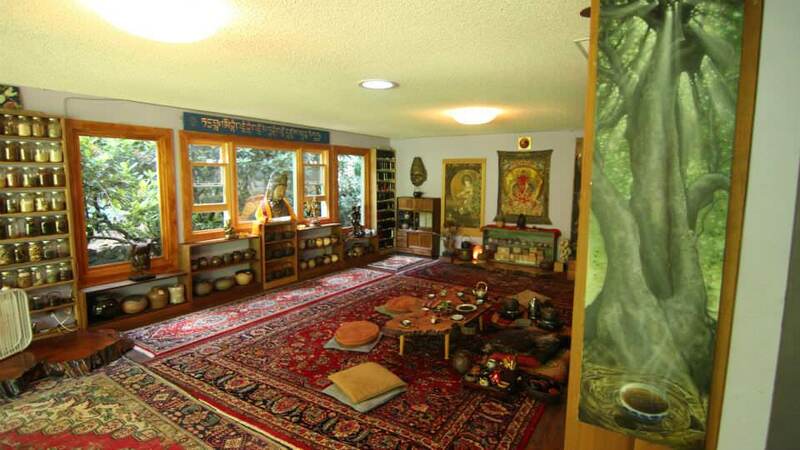 The Puer Tree painting sits at the top of the stairs of Heaven’s Tea Temple, a school dedicated to the use of this amazing plant teacher for self-cultivation. 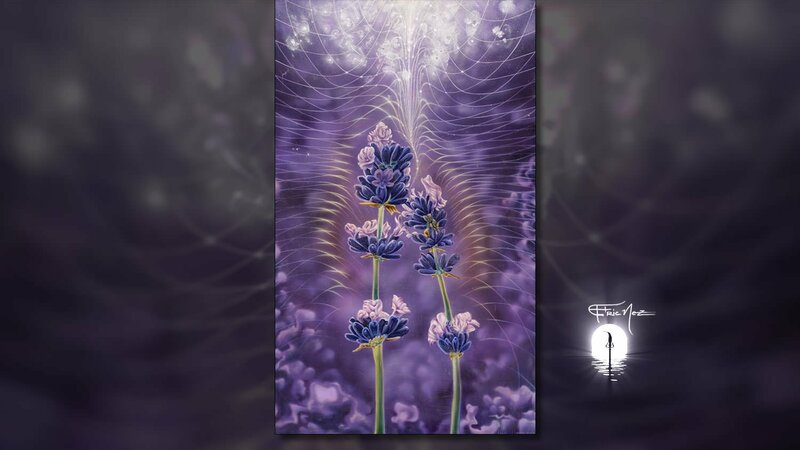 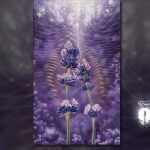 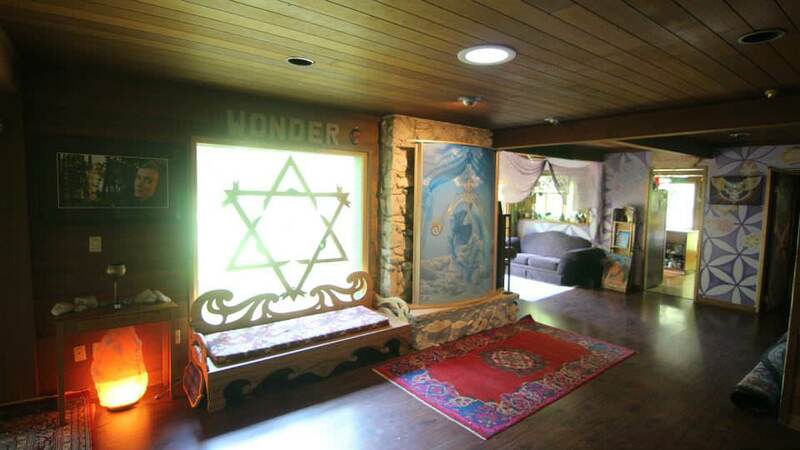 Lovender can also be seen glowing in the corridors of OneDoorLand gallery, an altar to the incredible plant. 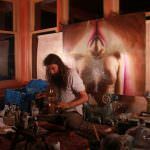 During his painting, Eric ate, drank, and even slept with lavender beneath his pillow, so that he may fully channel the essence. 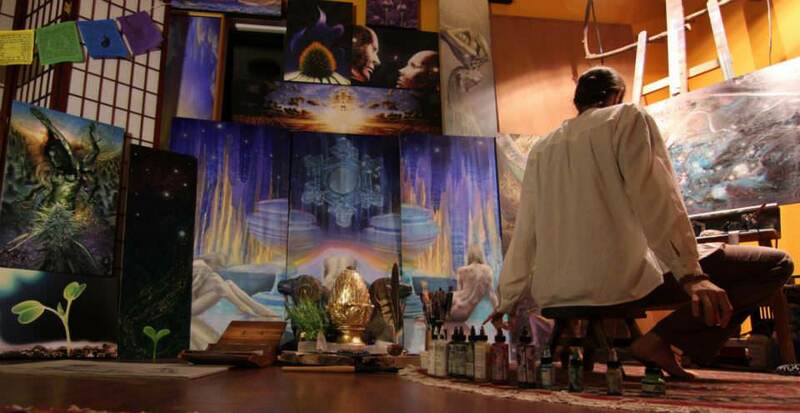 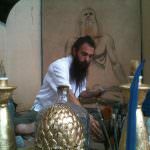 Book a tour with Eric@EricNez.com to see all of his paintings and enjoy a cup of tea with the artist.